How Important Is Health to you? Good nutrition is an important part of leading a healthy lifestyle but that's not it, a combination of exercise everyday will also help your diet to reach and maintain a healthy weight, reduce your risk of chronic diseases and promote your overall health. Lynnity is a mixture of functional food supplement derived from traditional Chinese herbs using modern technology. I was very lucky to be able to try out their full range of products from Lynnity Coffee, Slimming and Detox Therapy, Detox - Tropical Juice, Bone & Joint - Botanic Health, Meal Replacement - Superfood and Relief - Essential Oil. 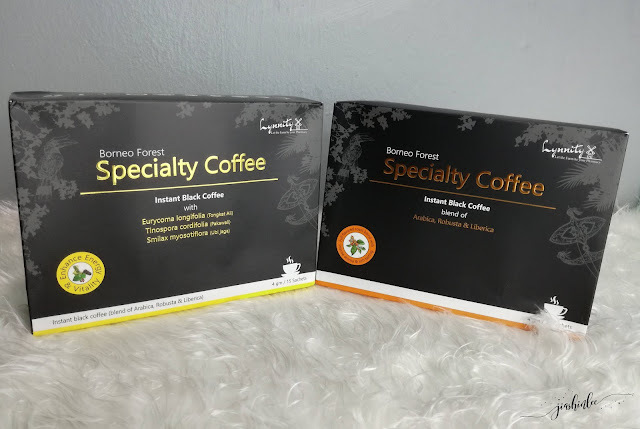 Lynnity Coffee are available in 2 choices Lynnity Borneo Forest Specialty Coffee with Eurycoma Longifolia and Lynnity Borneo Forest Specialty Coffee - Instant Black Coffee. The coffee beans are a selection of Liberica, Arabica & Robusta coffee beans on the lower hilly areas at the southern part Sarawak & Sabah, mainly owned by Bidayuh (land dayak) villagers and local Chinese farms. The coffee beans are fully flavored, the beans are round and smaller in size with a rich and strong aroma. Each box comes with 15 sachets of 4gm coffee blend, add 150ml of hot water into your cup and enjoy instant coffee which is rich and aromatic. Prebiotic - Fructo-oligosaccharide from chicory root supports healthy digestion. No artificial additives, coloring, sweeteners or preservatives. Lower acidity than most instant coffees. Great for iced coffee, mix with soy, coconut, almond or cow’s milk and stir right in, no need to heat. Lynnity Slimming & Detox Therapy consists of Lynnity Phyto Tropical to cleanse your body and trim the extra weight and Lynnity Botanic Superfood to curb your hunger and replenish your cells with essential nutrients. Lynnity Phyto Tropical is a solution with a combination of Phyto-Nutrient from natural plant & fruits extracts to show promising slimming effects. It helps to breakdown fat, burn fat and boost metabolism and tone the digestive and immune system in a natural way. Lynnity Phyto Tropical contains Pineapple, Mangosteen, Prune, Spinach, Celery, Parsley, Black Ginger, L-carnitine, L-arginine, Taurine, Guarana, Gotu Kola (Centella Asiatica). Lynnity Phyto Tropical works in 4 steps by cleansing, toning, replenish and preventing. Cleanse - Convert large molecule of stored fats into energy and expend it – safe as well as effective fats burning solution and enhance body detoxification by removing toxic substances in the body. Tone - Stimulate metabolism – improve blood circulation system and hormone regulation and improvement of lymphatic system – essential for cellulite appearance removal. Prevention - Lower the C-reactive protein (CRP) level in the body and allow leptin accomplish its job as appetite suppressant – no more gluttony and reduce the absorption of carbs, proteins, and fats; prevent fats storage – to maintain the body curve. 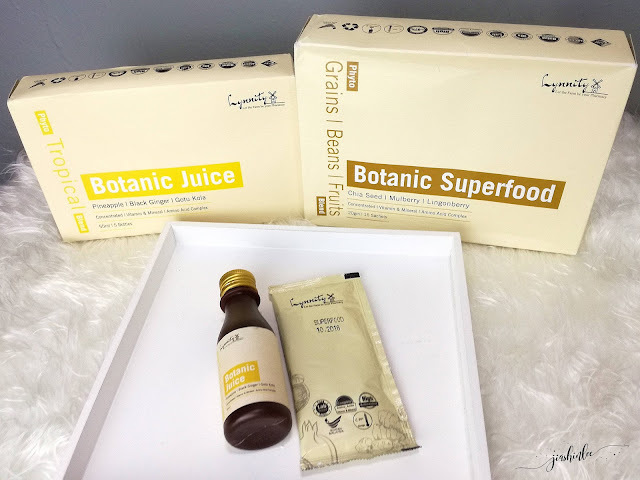 Botanic Superfood is formulated to incorporate the concept of a healthy diet with its formula of nutritional-complete superfood from 4 key food groups in Botanic Superfood are fruits, vegetable, grains, and protein to deliver a healthy eating, healthy living and healthy family. Lynnity Botanic Superfood is suitable for the entire family from kids, adults and even the elderly. Boost immunity and for eye healthy development. Bone & brain healthy development. Prevent obesity and maintain healthy body weight. Increase energy & eye strength. Supplement of complete nutrients for daily requirement. Improve digestive functions and gut health. Botanic Health is clinically proven to improve bone and joint health, this unique formulation enables you to enjoy mobile life. The product is formulated in Ireland, the product is a supplement that helps relief ache and replenish calcium, it also helps to enhance bone density as well as promote bone health, preserve bone and joint, repair cartilage and replenish collagen. 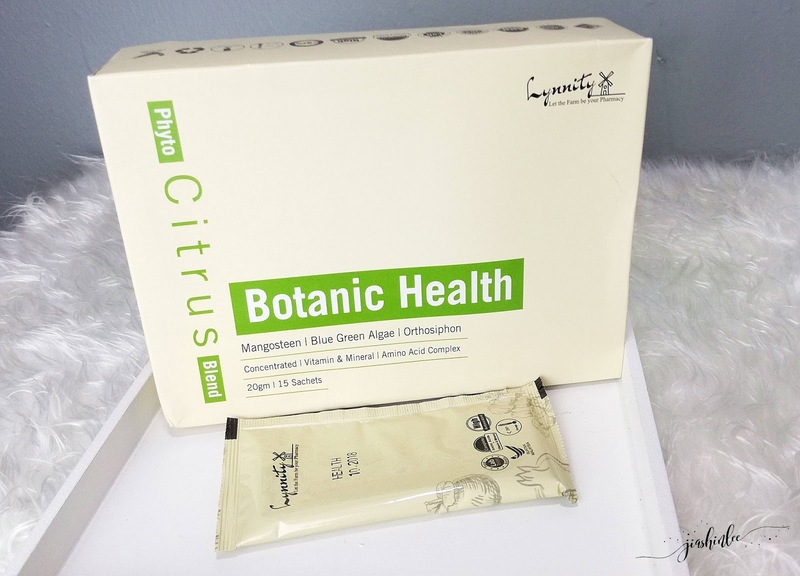 Botanic Health is a proprietary blend of Pomegranate, Mangosteen, Blue Green Algae, Orthosiphon(misai kuching), Lithothamnion Seaweed, Black Ginger, Ascorbic Acid, Oat Bran, l-arginine, Taurine, the natural steam cell & multi-mineral ingredients it is suitable for everyone including vegetarians. Lynnity Relief is a 100% pure therapeutic-grade essential oil it is great to help soothe minor discomforts, and can be used anywhere you need Lynnity Relief. Lynnity Relief Essential ready-to-use roll-on application is an exclusive blend of pure essential oil formulated to use as an invigorating, energizing & relieving scent to the desired area anytime, the natural and useful aromatherapy solution also easy to take with you anywhere! The proprietary blend is made out of Mentha piperita (Peppermint) oil, Abies balsamea (Balsam Canada) needle oil, Eugenia caryophyllus (Clove) bud oil, Cocos nucifera (Coconut) oil, Lavender Flower, Hawaiian Sandalwood, SunFlower, Eucalyptus Leaf, Clary Sage Flower, Roman Chamomile Flower, Cedarwood Wood, Ylang Ylang Flower, Geranium Plant. The essential oil is suitable for men, women and even baby and kids. For Men: Lynnity Relief is a great companion for your trips to the gym, After long hours on the computer & busy daily routine. It provides a refreshing, cooling sensation during or after a workout, with an invigorating scent that inspires an upbeat and energetic approach to whatever keeps you active., try rubbing on your fingers, wrists, shoulders, and neck. Apply on hand, arm, feet & knees before and after exercise. Rub on Shoulder & lower back muscles after a day of heavy lifting at work or during a move. Rub over your heart, temples, or wrists to elevate energized mood and promote vitality. After a long, stressful day, rub on temples before driving to help relieve stress. 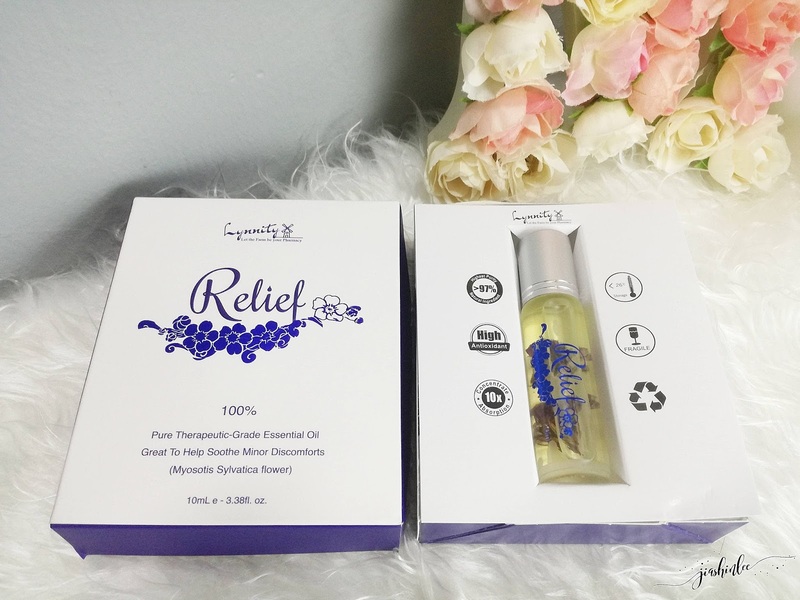 For Women: Lynnity Relief is a proprietary blend of essential oils that provides a soothing and calming effect during a woman’s menstrual cycle. During your menstrual cycle, apply to the abdomen to experience a soothing and calming massage. For Baby & Kids: Lynnity Relief is a proprietary blend of essential oils carefully selected for staying on task when you are trying to study or concentrate. Furthermore, Lynnity Relief maintains feelings of clear airways and easy breathing while minimizing the side effects of cold & cough. Lynnity Relief can be applied topically to the chest, back, or bottom of feet, at nighttime to calm the senses and promote a restful sleep.Apply directly from palms, or rub on chest, neck or feet when flu, cold or cough. Apply at bedtime for a restful night’s sleep. Message Lynnity Relief on baby (1-2 drops) or kids’ legs before bedtime. 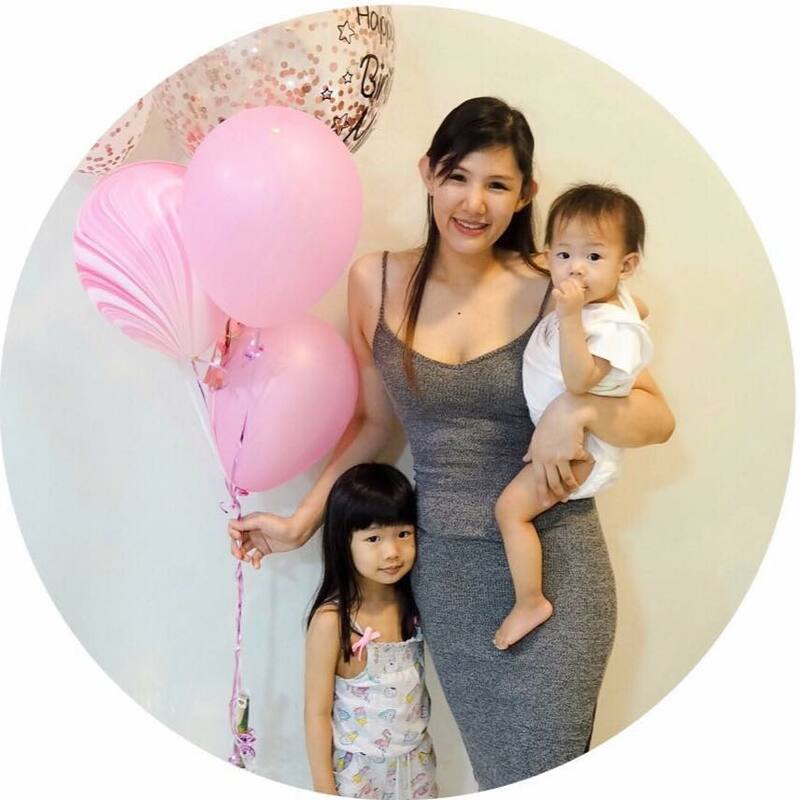 Lynnity has made life easier by putting all of these wellness ingredients into a packet that is convienet for the entire family. Their product helps with improving our immune system, weight management, bone and joint health as well as your cardiovascular health. Now you do not have an excuse! 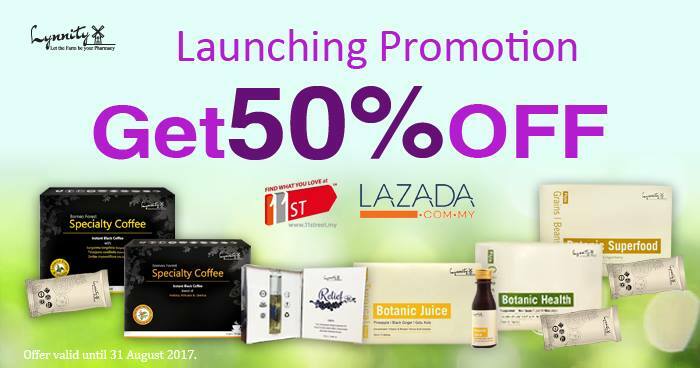 Lynnity is running a 50% storewide promo now with no minimum purchase and FREE shipping within West Malaysia for the month of August 2017, they have everything you and your family need to stay healthy. I never heard about this brand before. I would love to try out the coffee. I look good. They are pretty new, you should try out the coffee, according to my husband it's pretty good. They are pretty new, you should try out the coffee, according to my husband it's pretty good. I am also tempted to start the slimming and detox but lately tgh sakit so when I am feeling better will give it a go! Yeah you should give it a try they are running a promo online. Which one are you referring to? My husband is taking the coffee, the one with Eurycoma Longifolia does make it feel more energetic. I have not tried the Lynnity Slimming & Detox Therapy and the Botanic Health yet but the Lynnity Relief does help me especially when I've not been feeling so good lately because of the weather. It really helps soothe the tension I have. Looking at the list of ingredients, I am impressed with how stripped down the products are without added chemical and additives. Not a coffee drinker but would love to try the Relief.